The 5th NERRI Consortium Meeting took place on 30th November and 1st December 2015 in Vienna, Austria. The main purpose of the meeting was to discuss four key documents that will be presented as the main outcomes of the project in February 2016, when the project comes to an end. The key documents aim to address the implications of neuro-enhancement from societal, ethical and legal perspectives. Science and technology advances rapidly. 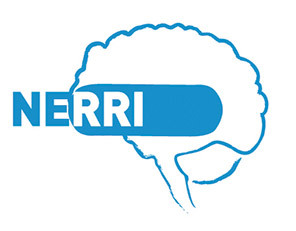 The NERRI project works to establish productive dialogue between potential users, potential “designers” (researchers, engineers, developers) and potential legislators of neuro-enhancement technologies, before products start to enter into the market. The aim is to ensure that that technological research and innovation proceeds in ethically acceptable and socially desirable directions. Beyond facilitating this dialogue, NERRI will also put forward policy recommendations for the governance of neuro-enhancement technologies. EBC is a full partner in the Consortium with the role of providing strategic and operational advice on all aspects of the work including civil society engagement, but also the mobilisation of scientists and commercial sector companies (pharmaceutical and devices) and patient groups, as well as communication and dissemination of the project’s activities.